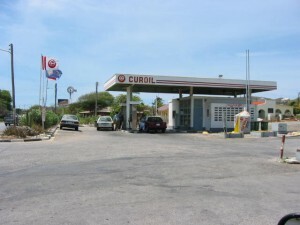 WILLEMSTAD – Starting Tuesday, October 4th, diesel drivers will spend 6 cents more per liter at the gas station. Gasoline drivers will barely notice the difference in their wallets; the price remains virtually unchanged. Water and electricity will become cheaper starting Saturday, October 1. A liter diesel will be 1.05 guilders. According to the price regulator Bureau Telecommunication, Post & Utilities (BTP&U), diesel was more expensive to buy. Also, there is a higher correction factor. Gasoline is two-hundredths of a cent more expensive per liter but remains unchanged at 1.55 guilders at the gas station. As stated water and electricity consumption will be cheaper starting this Saturday. Electricity goes down one cent per kilowatt hour. Water will be about 12 cents less per cubic meter used.